Indeed life can be hectic and difficult, sometimes it seems like a constant race. That's all true though, if you are not in Goa. Indeed in Goa life is running a bit differently, actually there is not so much running rather then being at the moment, relax and inhaling life bit by bit. In Goa it's seems sometimes like one long slow pace walk to find a good spot to watch the sunset. 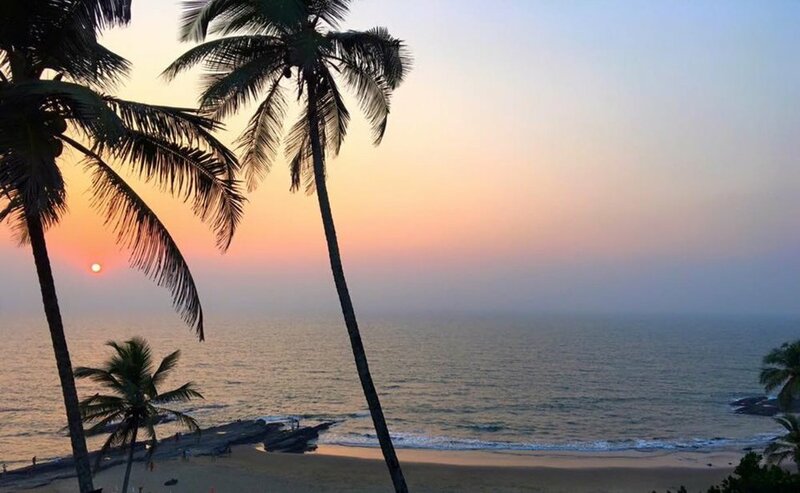 Our team focuses this season on the gorgeous land of Goa, join by the practices of yoga & Ayurveda, a commitment to a healthy life style, and inspired by the nature beauty. Goa is the perfect place for achieving our mission of bringing small groups of open-minded individuals together, who are coming to rest heal and learn, and on the way to have the best time of their life. 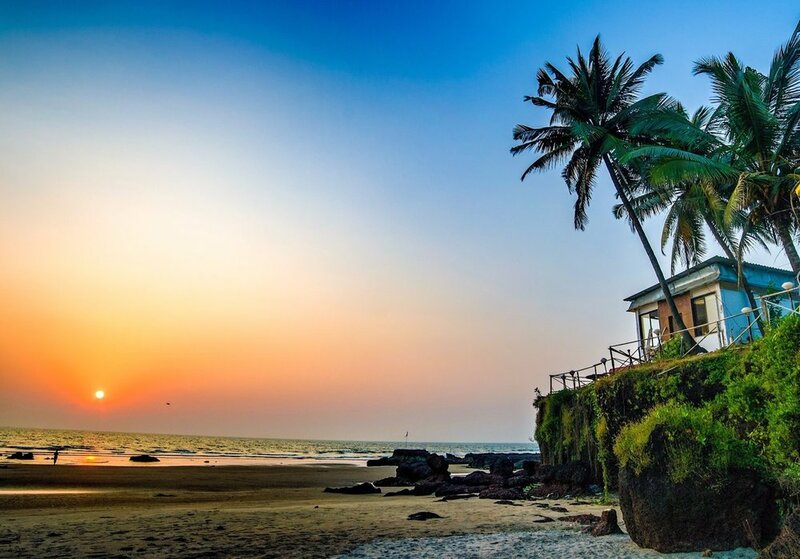 Goa, the little piece of heaven by the sea, discovered by the Portuguese in the 15 century, a coconuts jangle with a small fishermen community, becomes every winter, for the last half a century, a unique tourist empire. A truly paradise on earth. For, at least, six months in a year Goa became a source of attraction for travelers, seekers, clubbers, yogis, weirdows and nomads. as well as for many other tourists, that are gathering from all over the world in this beautiful piece of nature by the sea. People who come to rest a bit from the race in the other parts of the world, to eat coconuts and to enjoy this human celebration. The celebration which the hippie's culture founded, incorporation with the local Goan people in the beginning of the sixties. The only unofficial hippy-land on earth, which emerged basically from a spontaneous gathering of shiny happy people with new ideas, together with the tolerant local community at the south Indian beaches. Goa Became a beautiful fusion of cultures, worlds, races and ages. A truly mix of spiritual practices, musicians, clubbers and wanderer. All are coming to relax under some coconuts tree, all are sharing a moment or a chai. Openhearted, excepting and enriching rather then despise. Open mind rather then close, to the one is different. Goa is indeed a great symbol for the rest of humanity, a symbol of what is possible to achieve when the human race transcend, when we human building a collective consciousness of creation and celebration. Goa is it. Maybe it's the intoxicate smell of real freedom, maybe is the sun or the coconuts. maybe is the local character that enable everybody and everyone to do what he or she wish, only with a smile. The modern Goa today, with the Yoga schools along side with the fancy restaurants, the healers, and the spiritual workshops, along side with modern resorts, the nomads artist, with the musicians with the clubbing culture, all co-exist together side by side, reflecting, and expanding the “Goa fusion” for making it what it is today. If you go carefully with your scooter on Goa’s road along the coconut trees and the relaxed buffaloes, you will notice the small hippy community that is still there, playing their music and spreading their smiles for free. You might speak to a few locals that miss the days of the crazy laid back people, those people that came for months or years just to live by the sea… making nothingness as their “business”… and the nowness as their “possession”. An experience of sounds and colors, sea and tranquility... The full-Moon parties and the center of backpackers are alive, because of the comfortable nature and beauty of the place. Goa, which was the Portuguese enclave, has maintained Christian life to the present day, is the most famous tourist and vacation site in India.The locals have a relaxed tropical life and are characterized by humor and courtesy, which you will not find anywhere else in India ... scattered churches, colorful markets, coconut groves and a carefully maintained Siesta. 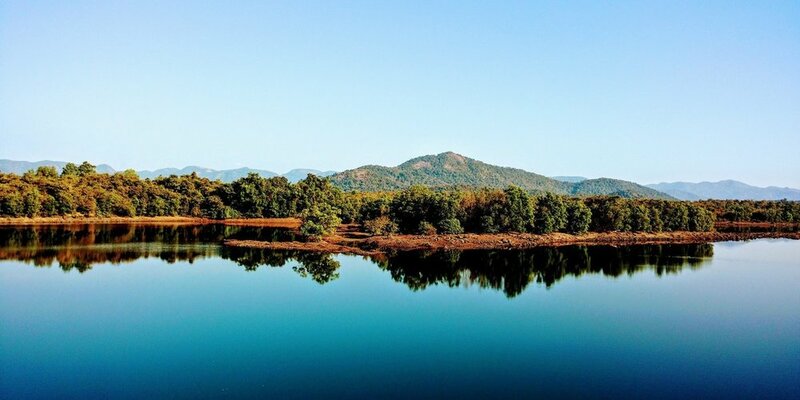 Indeed we think Goa is gorgeous!